I never thought that day would actually come. It all started a year ago with mixed feelings about the way I took written notes and converting them into reports, action points, next appointments, etc. on my laptop in my office. It was actually spending more time than needed. I don’t like to use my laptop in meetings because the rattling on the keyboard and clicking with the mouse are disturbing. Some of my colleagues use a notebook (the paper one) with self adhering colored tabs. But when the pages in one section run out another notebook with colored tabs is necessary spreading the information over two or more notebooks. Too much hassle for me. So, away with the paper and pencil. This can be done more efficiently, I thought. So, off I went. No more paper notebook, no markers, no paper bin in my office. Could I maintain my radical choice. It seemed more easy than first expected. True, thank God for Steve Jobs and his team. The iPad is the best tool I’ve used during meetings since that day. I had one already but I thought that paper notebooks were the thing. Unnecessary to say that with an iPad you have everything you need beneath your fingertips. Now, I wouldn’t want it any other way. Seeing how well this worked for me, I started questioning the future of cursive handwriting in our schools. Will children that are born in 2015 still have the need to learn how to write at all? 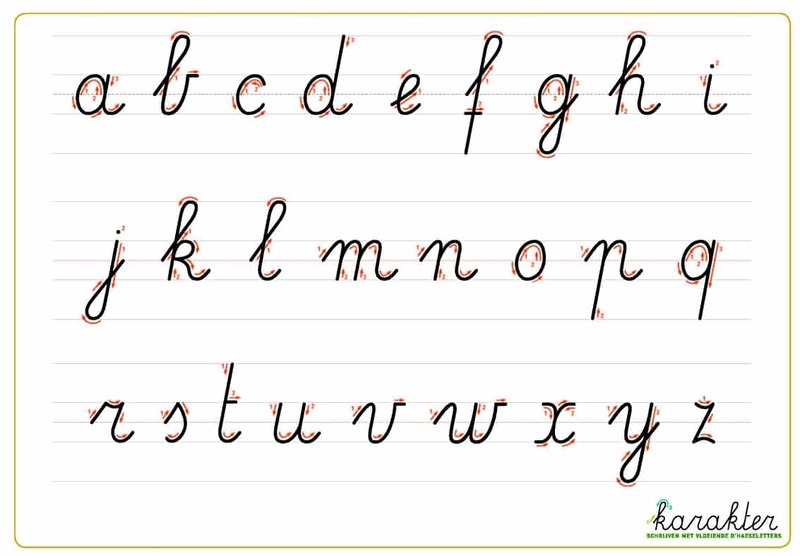 Is the future of cursive handwriting one of just practicing the fine motor skills? Will speech technology evolve enough to replace handwriting? Imagine how much time you can gain. You can even question typing on a keyboard as a ‘necessary’ skill. Would it hurt the education of the child if cursive handwriting was to become an optional subject at school? To be honest I don’t know because I was raised in a handwriting era. In my days in primary school calligraphic or cursive writing was a compulsory subject. I’ve spent hours and hours practicing it. Now since many decades I don’t use it anymore. In the US the Common Core State Standards allow communities and teachers to make decisions at the local level about to teach reading and writing so they can teach cursive if they think it’s what their students need,” said Kate Dando, a spokeswoman for the Council of Chief State School Officers. As it seems cursive handwriting is under pressure. Is the tablet as we know it actually suited for (cursive) handwriting? Absolutely not. Don’t let anybody fool you. Your wrist needs to support the movements of the fingers and rests and moves on the touch screen. This leads to multiple touch points making the tablet software go crazy. The only time you write without using your wrist as a support is on large surfaces. I will never return to the paper notebook. Try it yourself. 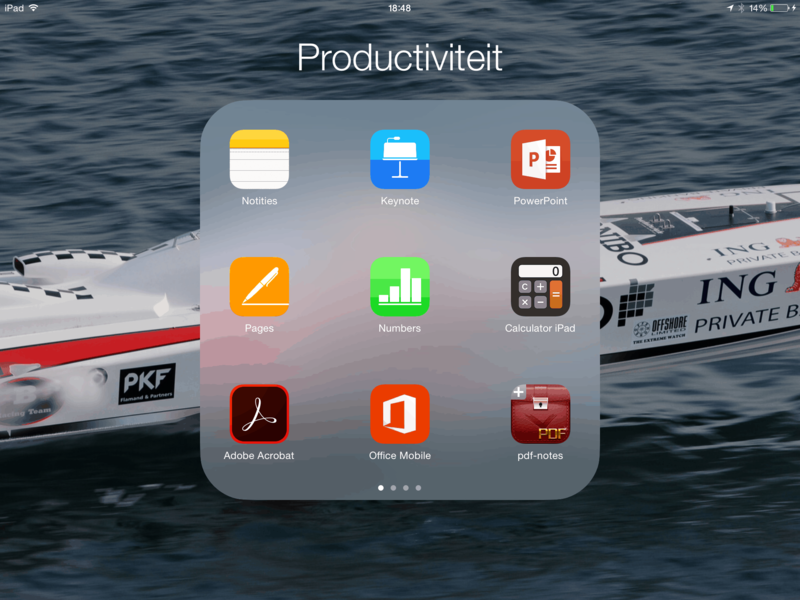 Some really useful apps. I have 4 pages of them.